Very important … you can mix’n’match them with other National boxes in cedar or poly. But they might suit yours … read on. In much the same way as most of mine are ignored, stacked up and unused, in the corner of the bee shed. The related Abelo Langstroth poly hive floor appears to be a newer design, though some of the features of the floor are in common with the National floor. And you will need something like this as they are relatively lightweight and are easily lost in high winds. Regular readers will be aware that I’m colourblind … these could be red or brown! There’s one in the pictures. 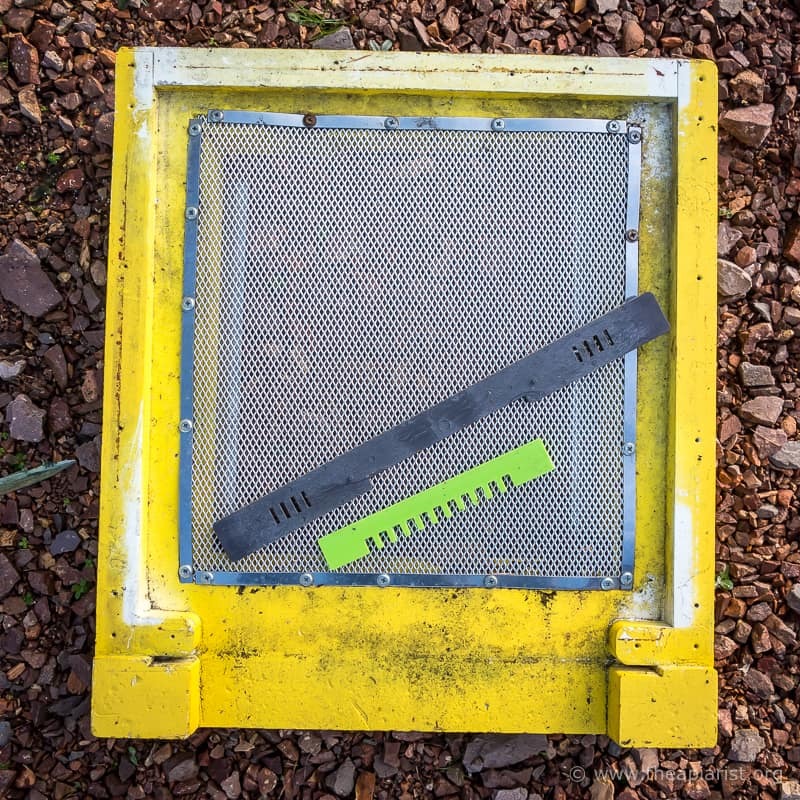 Recently there has been “buzz” that open mesh floors make no difference to mite populations in the hives. Looking forward to more research on that one. In our mild winter, rain all winter, location the chief value of mesh floors is that any water that wicks in through the “porch” drains away. So really all I’d like is a 1″ strip of 1/8″ mesh just inside and parallel to the hive entrance. The bees deal with the ventilation issue on their own, and benefit more from good insulation over the cluster than from multiple openings in the hive (most of which they try to propolize shut). A well insulated hive stays nice and dry. I suspect the OMF offers more benefits in terms of monitoring potentially high mite levels than actually helping to lower mite levels. However, relatively few beekeepers do the former and anything that encourages them to monitor pathogen levels has to be encouraged. My floors have an L-shaped entrance tunnel, it doesn’t matter how hard it rains it still cannot get in. David, I’m puzzled by as to why you feel you need to use gaffer tape to secure an Abelo hive for moving. I only turn the entrance blocks over to the shut position and have always felt safe and secure. I hope I don’t one day discover that I’m wrong while driving my bees somewhere! Thanks for the interesting colophon. The entrance block is only held in tightly by being squeezed against the side of the brood box. Since the ‘faces’ of the boxes are flat there can be some lateral movement in the event of sudden jolts … even if the boxes are strapped up. In a trailer I probably wouldn’t worry about this. In a hatchback or estate car I want to be as certain as possible I don’t make a drama into a crisis by having bees escape should there be an accident. Belt and braces certainly, but it gives me peace of mind. Another eloquent and informative post………keep them coming. I have just bought 4 Abelo Hives after many hours/days of research, so it was great to hear that you are a fan. I had not considered the tray or the oxalic angle. I will certainly be painting the trays over the next couple of weeks ready for the new season. I noticed some monitoring on the photos you posted. Please can you let me know what system/make you are using, and is it worth the investment? We’ve got some of the Arnia kit. Too early to comment yet and we have more to deploy in the season ahead. When I know more I’ll write more. I purchased a couple of these to try this year and was generally impressed with them. In my opinion though, their worst flaw is the crown boards, they have circular vents or polystyrene bungs. Using either violates bees space meaning that the bees build brace comb and everything gets stuck down. I replaced mine with wooden ones after a couples of weeks. The boxes are excellent though. I’ve commented on the ‘fiddly’ crownboards before and agree with your comments. They do have a couple of redeeming features but are over-engineered. 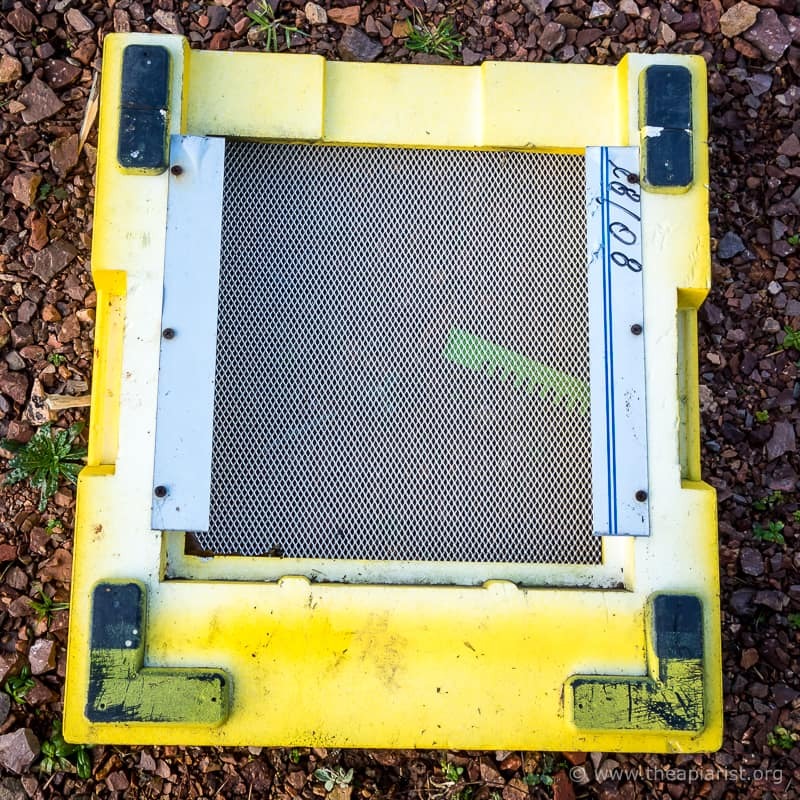 And yet more ‘stuff’ to lose … I’ve got a large box of Abelo bits in the apiary. Please correct 3rd bullet point typo under “What’s the floor for?” Gibbish! Really?! Well, you’re absolutely right according to the audio pronunciations for UK (but not US) English at dictionary.cambridge.org. But In Fife?! I bet if a hypercritical local looks over your new-laid laminate and tells you there’s a flaw in your floor, you’ll not be in any doubt about what he means! Actually, anyone looking at the laminate floors I’ve laid wouldn’t be able to comment … they’d be too busy laughing. 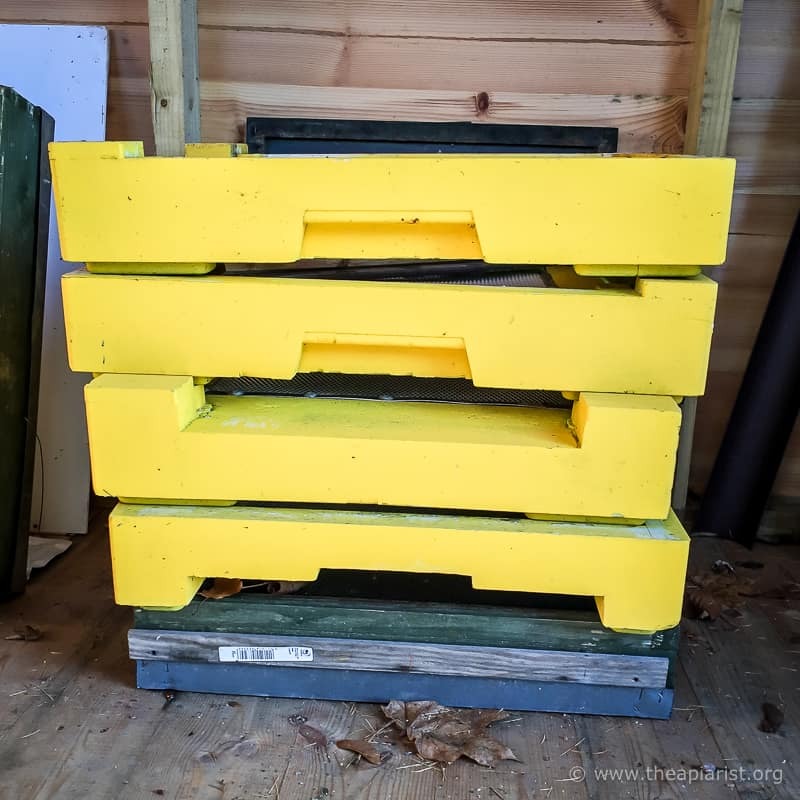 I have these Lyson hives from Abelo and I love them! I find the entrance blocks OK and I guess you could put glue in the ventilation slits if you want. Earlier models didn’t have the slider so I stick on correx strips if I want to reduce the entrance! I don’t use the poly trays at all. as they seem a bit pointless! I’ve cut correx to fit exactly the slot underneath on which I have a grid for varroa counts. I only put them in for this, preferring to leave the OMF only the rest of the time. With regard to OA vaporising, I (or rather my handy other half!) has attached my Varrox, mounted on wood and aly, to one of the poly trays. (Sorry there doesn’t seem to be away of adding pics). I slot this in the back under the omf floor and block up the space at the rear with a small piece of foam. Invert the entrance block and hey presto! I get no leaks at all and find it works fine. I only have a small number of hives tho. Also I do not use the poly crown board supplied and prefer a standard wooden one (or sometimes clear polycarbonate). 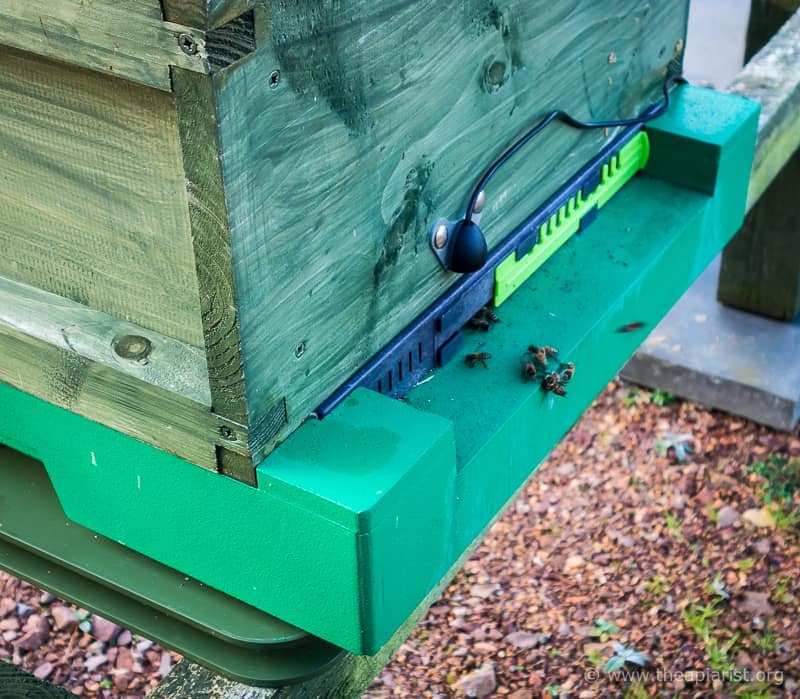 It’s a great advantage that standard National kit fits this hive! However what I’ve been doing in the winters is putting the Abelo poly crownboard on top of the wooden one for extra insulation. If I want to add fondant I put it between the two crownboards (over the holes obvs!) with an eke and fill the space with bubble wrap. I don’t ever need to transport them so moving them about is not a problem for me although I always strap them down in winter or if it’s windy. I guess my winters are not a patch on yours here in leafy Bucks! Just how I’ve used mine the last 3 years with no worries. As I said, I’m generally pretty enthusiastic about these hives and have lots of bees in them at the moment. You make a good point about vaporising with a Varrox-type pan machine. The distance between the runners and the OMF – perhaps 1.5-2cm – is ideal to accommodate the sort of contraption you describe to hold the Varrox and deliver the OA. My machine is ‘active’ so produces jet of vapour which I simply blast in through the entrance. I’ll review the other bits of the hive sometime later in the season. 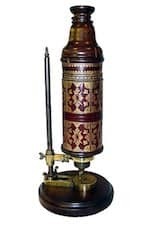 Yes, the Sublimox apparatus is somewhat different and I guess some experimentation is required with various poly hive designs! Seems a good bit of kit if you have lots of hives; not worth it for me though. My bees were out briefly in the sunshine on Friday so at least I know they’ve survived thus far. 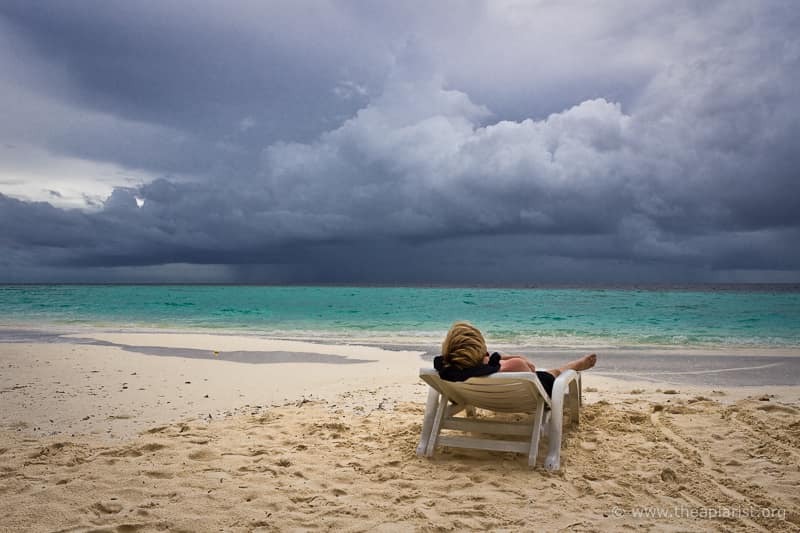 Not so lovely weather predicted now though. I do think February the most dangerous time for colonies. Looking forward to more of your interesting posts this season. I also stopped counting varroa a while ago, as it only tells you about the varroa you killed. If alot fell, well done, how many are left? / if a few fell was the colonly varroa free or the treatment just ineffective? Better for me to just uncap some drone brood in the spring and decide then if I want to cull drone brood or not. And due to limitations on treating, and time travel, retreating or going back and redoing it are not options. I admit I have lost one of 40 overwintered this year. But my autumn preperations were halfarsed as I work 50% in another country just now. – so my fault not the varroa. Another country?! It sounds like time travel would be useful. I struggle with apiaries 20 miles apart and the possibility of another 150 miles away. Whilst I agree that the personal protection equipment isn’t really in keeping with the public perception of what a beekeeper should look like it’s not something most of them will ever see. It’s also probably preferable (and more ‘natural’) to using something like Apistan which both accumulates in comb and is often ineffective. I monitor Varroa levels throughout the season so generally have a reasonable idea of whether treatment worked or not. Very cold snap just starting here and far too early to judge winter survival, but things are looking good so far. Hi David. Enjoyed the article. 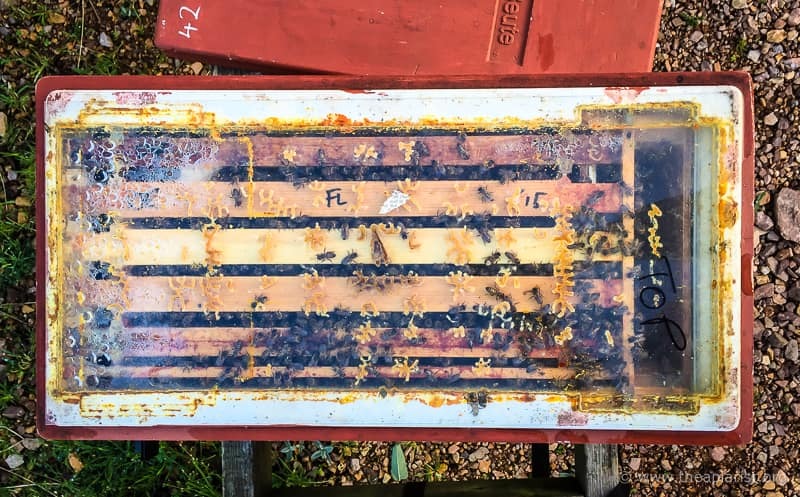 Whilst I can see the benefits of increased hive insulation throughout the seasons, I am wondering about effectively sterilising and cleaning the components to assist with minimising disease incidents etc. I know how difficult this can be with a poly nuc, but with a full hive of bees for an extended period of time ? If you’re meaning cleaning/sterilising poly hives then scrubbing them with bleach or strong soda solution should be satisfactory. You obviously cannot ‘torch’ them as you would cedar boxes. 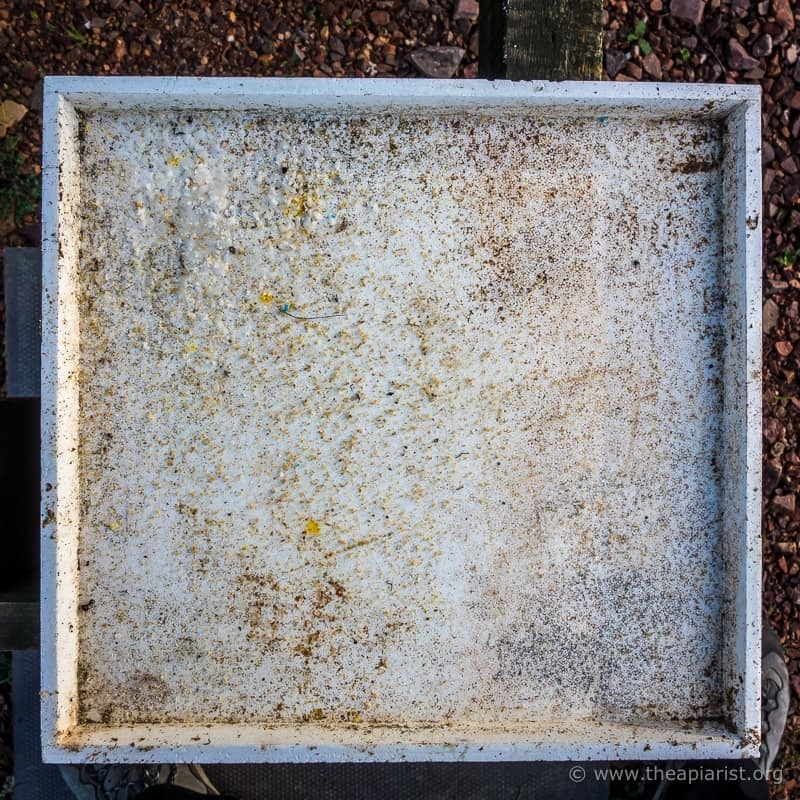 I think my poly boxes, for whatever reason, don’t get as encrusted with propolis and other gunk from the hive. They’ve not been in use for as long, but the cedar boxes are reasonably regularly swapped out and torched, but still look a bit tatty in places. I’m certainly not aware of any greater transfer of infection or disease from poly than cedar. The increased insulation is a definite help in cold or exposed locations. Particularly for smaller colonies. I no longer use wooden nuc boxes and instead use ~40mm thick Everynucs. Colonies overwintering in these look excellent this season.